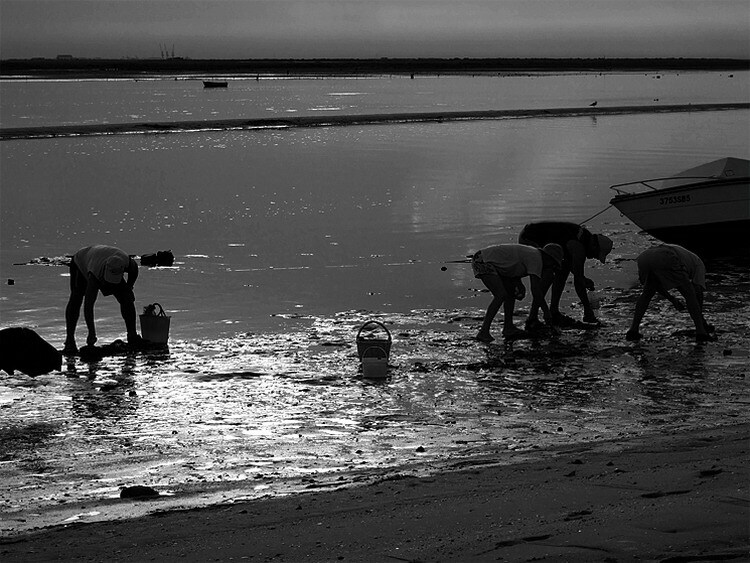 The perfect timing for shell hunting is immediately before and after low tide. At this timing, clandestine shell hunters suddenly come from the dunes and cross the low waters on foot. The small boats are stranded in the sand gently moving with the wind and soft south currents. The shell workers are now not only fisherman or related, but also people that have other activities or jobs, even lawyers, and they spend hours on the water to get 3 to 8 kg of clams to make a living. This collected field-recordings from and near the sand banks are edited and overlap different places where the shell hunting persists as a clandestine way of life. This entry was posted in #29 and tagged Rádio Zero. Bookmark the permalink.